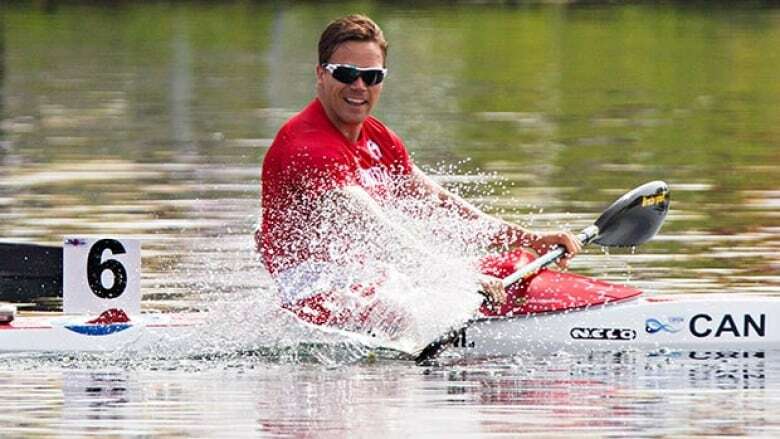 Canadian kayaker Mark de Jonge won the gold medal in the men's single K1-200 metre event at the Pan Am games on Tuesday. Canadian kayaker Mark de Jonge has won gold in the K-1 200 metres at the Pan American Games. The 31-year-old from Halifax crossed in 35.733 seconds, .506 seconds ahead of Brazil's Edson Isaias Freitas da Silva. Moments later, Jason McCoombs of Dartmouth, N.S., added a silver in the C-1 200 metres, finishing behind Brazilian winner Isaquias Queiroz Dos Santos. De Jonge won the world championships in the event last year and captured bronze at the 2012 London Olympics. In later action, De Jonge and Pierre-Luc Poulin also earned a bronze in the men's K-2 200-metre final, in a tie with Brazil. Argentina won gold in the event, with Cuba taking silver. "We were training pretty hard last week and didn't have that taper going into this as much as we would for worlds," de Jonge said. "But you just have to deal with it, the long-term goal is qualifying for the Olympics, and ultimately win a gold medal at the Olympics." The 31-year-old from Halifax was a big story three years ago at the London Olympics, winning bronze after deciding to put his engineering career on hold to focus on paddling. He had missed qualifying for both the 2004 and '08 Games, while juggling finishing his engineering degree and then working full-time as a civil engineer. "I found that to be a bit of a challenge, especially with all the challenge of travelling as well, going away for a month at a time while trying to learn some pretty hard material was a big challenge," he said. "Right now I'm at a place where this is my one goal." De Jonge won the world championships last year, and is near the top of his game now. "Now the story is really different, I'm a full-time athlete now, I've been training consistently for several years toward this one goal, and I'm up at that 99 percentile working on these little details that I didn't have time to work on back then," said de Jonge. "It's more refined, and (it's about) seeing myself on the top of that podium."